It shouldn't come as a surprise that one of the most interesting, most surprising games coming to Sony's new portable is the one from the man behind Indie darling Everyday Shooter. In Everyday Shooter you're presented an "album" of shoot-em-ups, each with its own gameplay-influencing music and aesthetic. You play through the album like some people might listen to The Beatles' The White Album. It is a singular experience drawn from a collection of gameplay. While I didn't have the time to play through the entirety of developer Jonathan Mak's next game, Sound Shapes, I was able to tinker with it enough to come away with a sense that it, like Everyday Shooter, is something special. In Sound Shapes you control a gelatinous circle ringed by tiny appendages topped with tinier suckers, navigating a world of shapes and sound. The controls are fairly straight forward: you can jump and move and run, but when you run you no longer stick to shapes with those little suckers. The object of the game is to collect floating blobs that represent musical notes, while avoiding the dangers of the particular level (red laser beams, spikey blobs, a dangerous floor). As you collect these floating notes it adds to the soundtrack of the level. Collect them all and experience the song in all of its glory. Miss a note or two and so will your version of the soundtrack. The experience of playing the game is immensely gratifying. 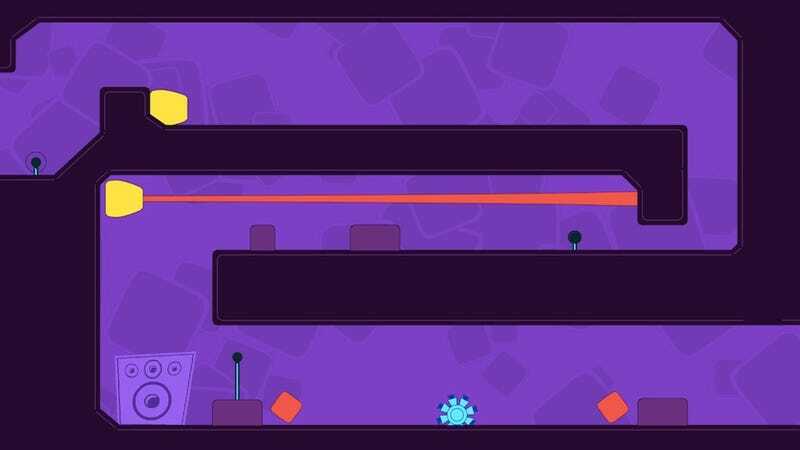 But there's more than just this single player in Sound Shapes, equally important is the ability for players to create on the fly music and levels in a robust level editor. The editor makes heavy use of the NGP's touchscreen and touch-sensitive underbelly, allowing you to quickly slap shapes down on a map, move them, size them. You also have a collection of instruments you can select to place the notes you'll want to add as both the soundtrack and objective of the game's level. Once created, you can also upload those levels for others to download re-mix as their own. Sound Shapes is a game that makes music not just an element of play, but an integral part of the experience.